WASHINGTON — A severe drought was declared for the greater D.C. metro area as one of the driest Januaries on record came to a close. The National Drought Monitor outlined much of the Interstate 95 corridor between Fredericksburg and Baltimore in a severe drought status Thursday. The drought monitor is a collaboration between the National Oceanic and Atmospheric Administration and the National Drought Mitigation Center. 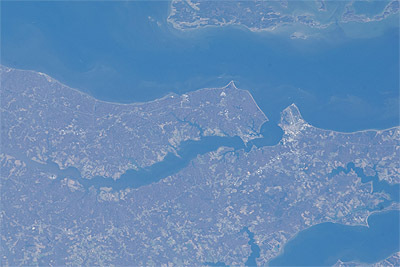 Parts of Stafford County, Virginia, remained in a severe drought for a second week in a row. The Virginia Department of Environmental Quality and Maryland Department of the Environment have both issued drought watches for most of Northern Virginia and Central Maryland. The aerial extent of the severe drought is similar to the dry spell that occurred in late February and March last year. Like the current drought, depleted groundwater levels along with dry streams and ponds were common. U.S. Geological Survey water gauges along Difficult Run, Accotink Creek, Rock Creek, Piscataway Creek and the Patuxent River depict discharge rates that are below the 20th percentile for stream flow. January marked the fifth month in a row during which below average precipitation was recorded for D.C. and surrounding areas. Only 0.94 inches of precipitation fell, making it the fourth driest on record, following the fifth driest December of all-time. The recent dry spell began in September when the region went 16 consecutive days without rain, one of the longest September streaks on record. Since then, the region has experienced a precipitation deficit of 9.26 inches. The drought is still considered short term, with minimal impacts on agriculture expected during the winter months. Should the dry weather persist into March, the drought would be considered long term, with implications on the growing season, hydrology and ecology. Equatorial sea surface temperatures are below average across the central and eastern Pacific Ocean, according to the National Centers for Environmental Prediction. This condition in the southern hemisphere, known as La Niña, has been linked to drier winters in the Mid-Atlantic. 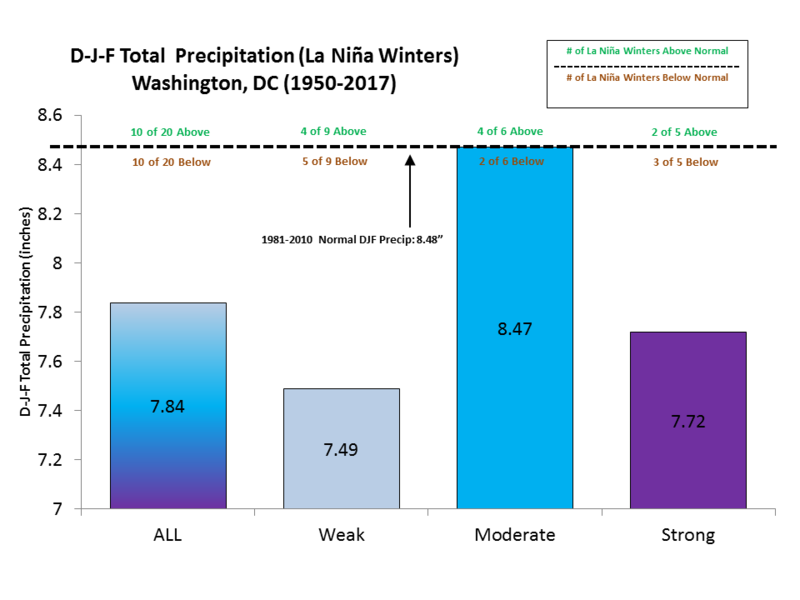 Research done by the National Weather Service in Sterling, Virginia, has suggested that La Niña winters tend to feature less precipitation.